The Science Museum in London has worked with Leeds agency Numiko on the launch of its new website. It follows the completion of new websites for Bradford’s National Science and Media Museum and Manchester’s Museum of Science and Industry earlier this year. London-based design company North handled the visual identity for the new site. Numiko has used Drupal 8 to develop a multi-site platform that will enable the Science Museum Group to cascade updates and functionality through each of the websites. 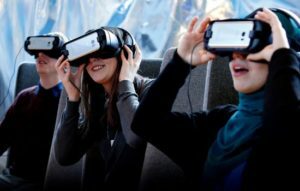 Visitors to the "world’s most Googled museum" can now get closer than ever to a real life trip to the Science Museum, with dynamic content, enriched with striking images and video helping to create a more immersive experience. John Stack, digital director of Science Museum Group, said: “We’re delighted with the new Science Museum website. In particular, I think that we’ve managed to both simplify the user experience and ensure that the wealth of extraordinary content is easily accessible. Numiko also works with the likes of Blue Cross, Nesta, Design Council, Channel 4 and Goldsmiths University. David Eccles, founder and director of Numiko, said: “What’s exciting about an implementation across several museums over a year is that it has greatly increased the opportunities for user testing and post-launch enhancements; each site is benefitting from what we’re learning as we go."